The Honorable Jong-Kook Lee, Consul General of the Republic of Korea in Chicago, will speak on “Korea-U.S. Relations: Past, Present, Future” at 10 a.m. Friday, Nov. 10, Webster Hall’s Corley Auditorium. Lee will discuss how the relationship between the Republic of Korea and the United States of America has evolved over the past 60 years. Lee arrived in Chicago in April 2016. Previously, he served as ambassador for international cooperation of the Korean Institute for National Unification for three years. 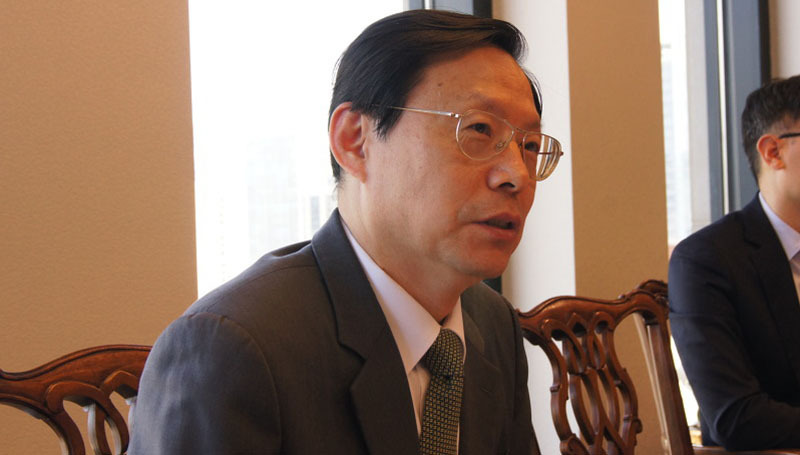 He has also served as the minister of Korean embassies in the Republic of Singapore and the Russian Federation. From 2012-15, he served as ambassador extraordinary and plenipotentiary to Libya. His overseas missions include such posts as New Zealand (1989-92), Egypt (1992-96), India (1995-96) and the United Kingdom (1996-2000). The Consulate General of the Republic of Korea in Chicago covers the 13 states in the Midwest and is responsible for the largest area among all the Consulates General in the United States. Moreover, it has been home to more than 28,000 Korean-Americans, students and business people of Korea.